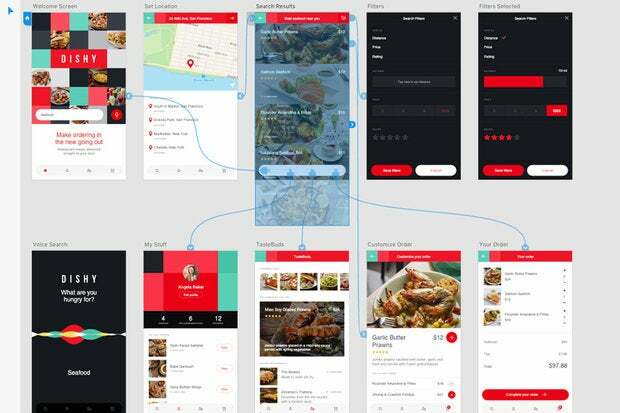 Formerly known as Project Comet, the app is targeted to UI, UX and mobile app designers working on a large number of screens and product models. 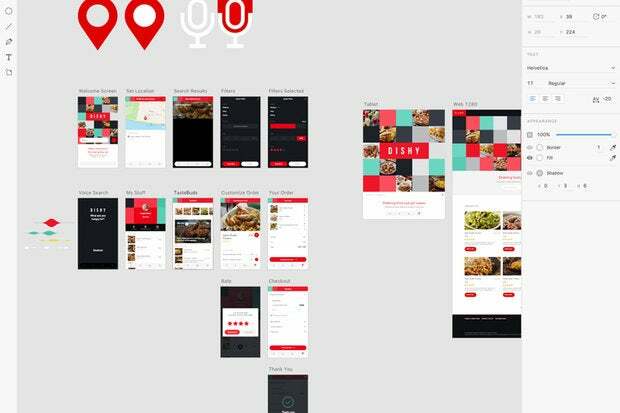 Last fall at its Max creativity conference, Adobe debuted Project Comet, the code name for its upcoming user experience (UX) app. The mission: To provide an integrated, end-to-end environment for visual and interaction design, wireframing, prototyping, previewing, and sharing of Web and mobile app designs. 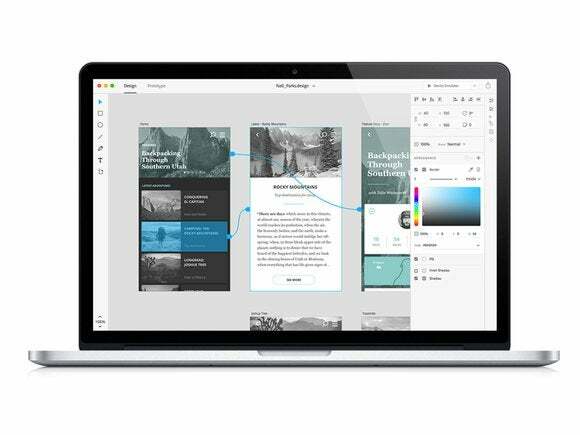 On Monday, Adobe released a rechristened Project Comet as Adobe Experience Design CC—nicknamed Adobe XD—a code-free, Mac-only desktop preview targeted to UI, UX and mobile app designers working on a large number of screens and product models. Previously in a private pre-release, it is now available for testing and feedback from the general design community. 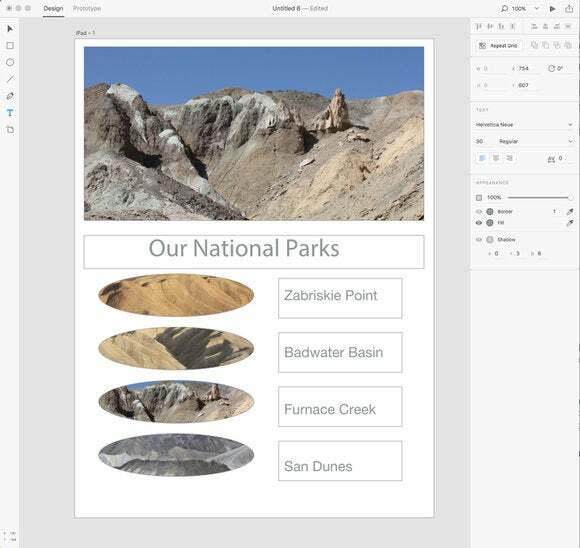 With Adobe XD you can hook into assets from anywhere, including Photoshop, Illustrator, and your desktop. 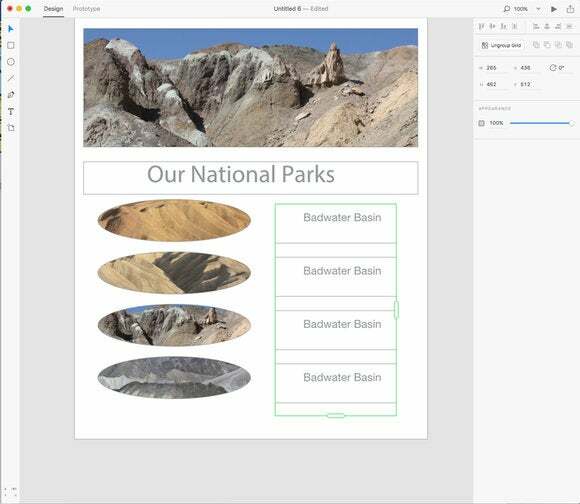 Design mode offers intuitive layout, drawing, type and other tools. Prototype mode lets you define interactive hot spots and transitions. 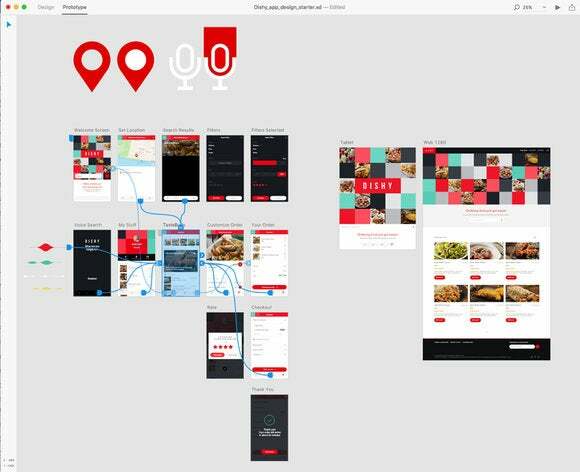 Adobe XD gives you the flexibility to use its vector drawing tools to create and preview your interactive prototypes in context and in real time and share them with other designers and developers via Creative Cloud’s syncing functionality; you can even record a workflow to share with colleagues. It is especially friendly because it is code-free—just drag and drop text and graphic elements—and extremely quick. 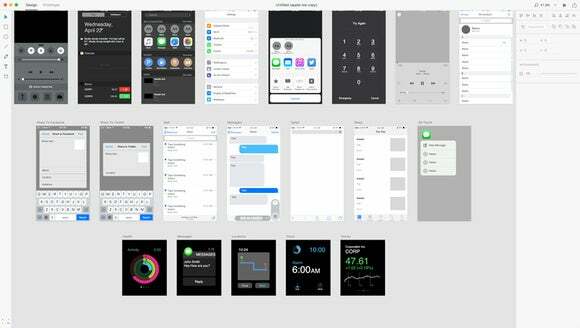 Built-in UI kits help designers get started with generating specific types of apps quickly. 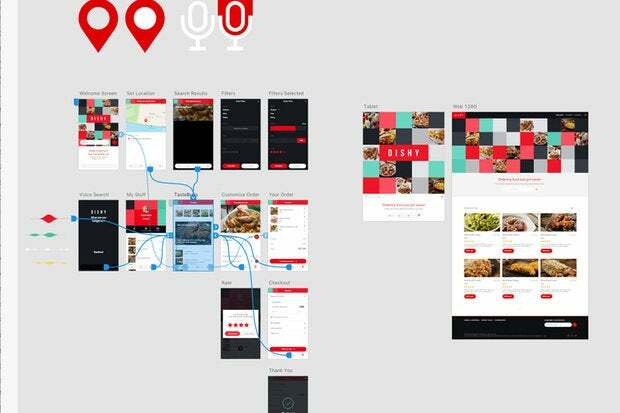 Adobe itself is using XD to build the XD app. 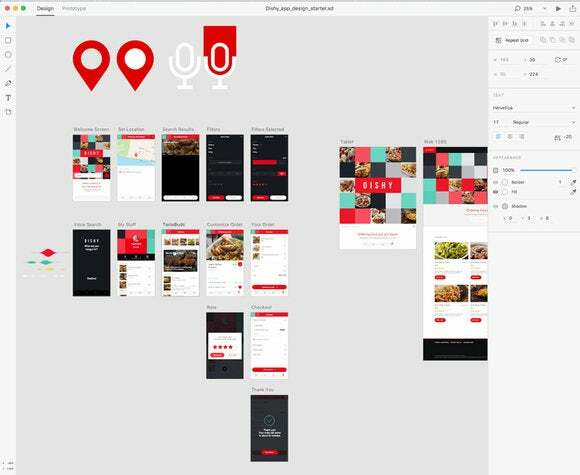 Upon launch, Adobe XD offers an array of Web and app design templates. 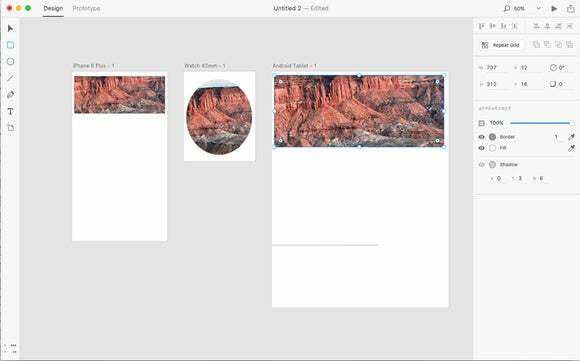 Just pick the models you want to work with (iPhone 6, iPad, or website) and the app places an artboard on the canvas. You can work on multiple devices/artboards at the same time. 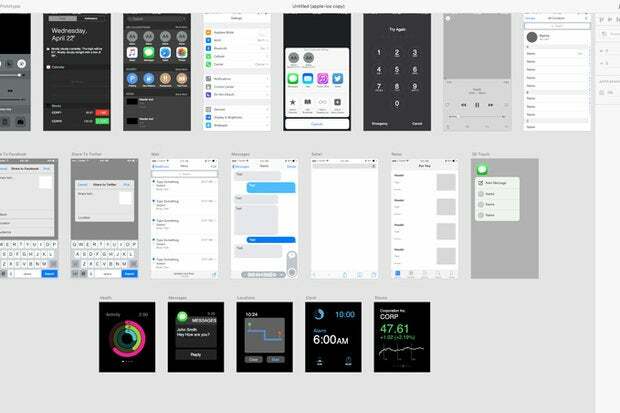 The app’s clean interface presents two modes: Design and Prototype, each with its own tools, letting you move back and forth. 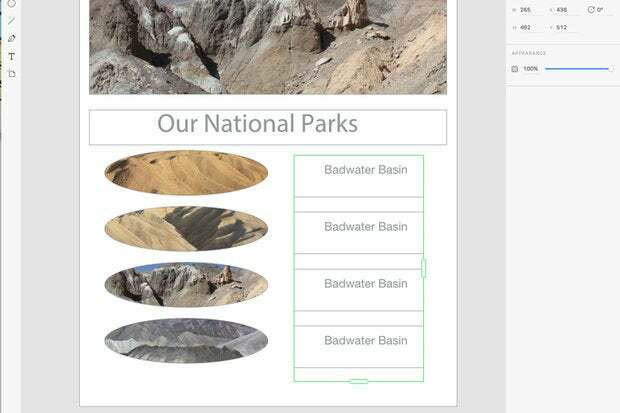 As you drag and drop assets into the design, they automatically resize to fit the template. 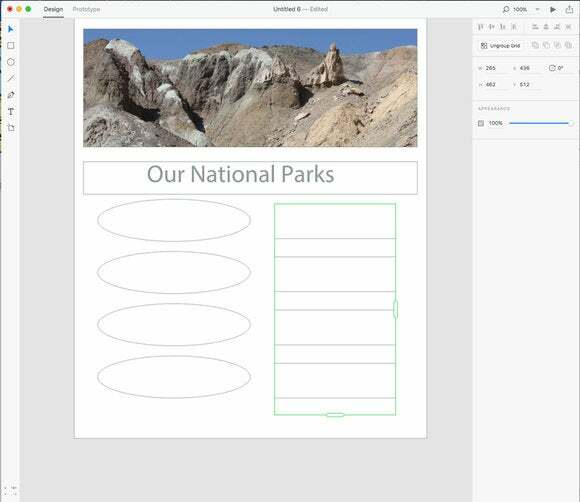 Drag and drop from the desktop, Photoshop, or Illustrator and images automatically resize to fit the template. 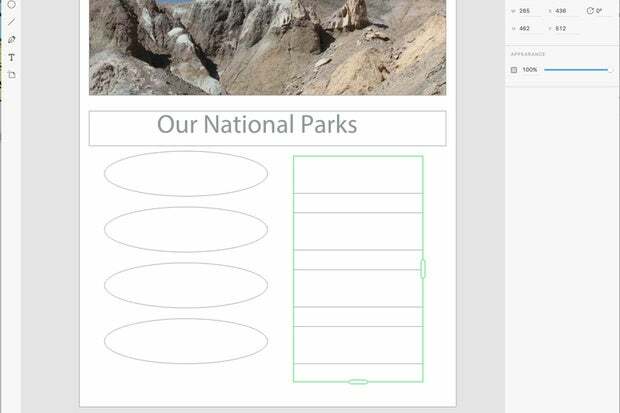 A cool Repeat Grid feature lets you drag to replicate design elements instead of having to copy and paste, while at the same time providing full design control. 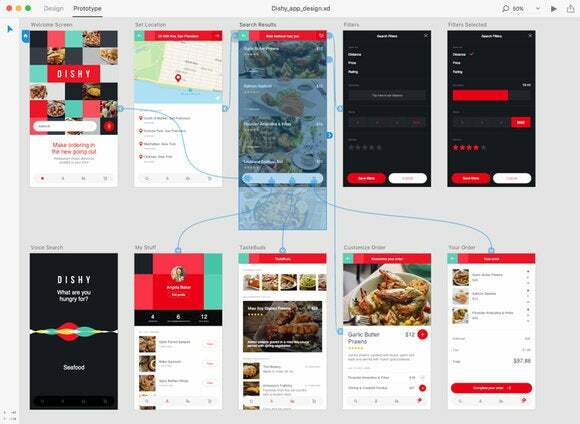 Then, using the app’s built-in wire connectors, you can target any screen to link associated pages, define flows, and designate characteristics like animations, triggers and transitions. When designs are finalized, you can export assets to developers for production. The Repeat Grid feature lets you size layouts uniformly, while giving you control over all elements. Selecting several images automatically flows each one into the grid in sequence. Adobe XD is available for download now and works with Mac OS 10.10 or later. 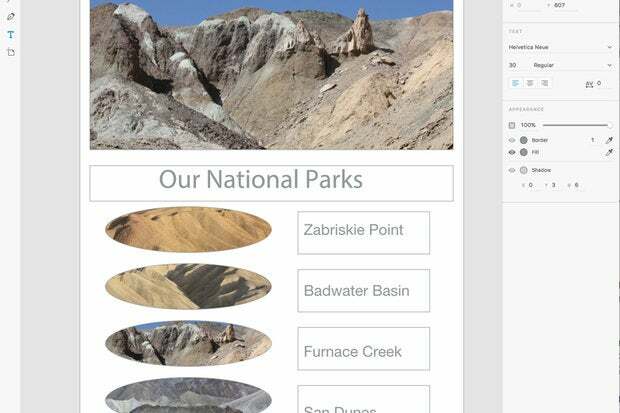 Each month, Adobe plans to release a new preview featuring community-driven improvements. While Adobe XD is free, you must have a Creative Cloud ID in order to use it. It is available only on the Mac and in English right now, but Adobe intends to release a Windows 10 version later this year and roll out in other languages such as French, German, and Japanese to start. A full commercial version is expected later this year. Also in the works is a mobile device companion app that lets you connect specific devices to your computer so you can directly view and test emerging designs. Initial support will target iOS, with support for Android devices coming later. 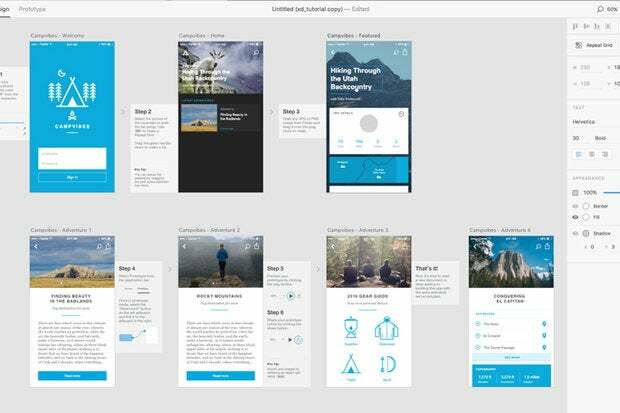 Apps and services such as Comp CC, Creative Cloud Libraries, Adobe Stock, the ability to work in layers, an extensibility/API layer for plug-ins, scrollable content authoring, and more will also eventually integrate with XD. Why this matters: Experience design is critical for web, smartphone, tablet, and watch navigation and interface, and as the number of screens and devices proliferates, designers must think in terms of whole systems rather than individual products to produce the sophisticated apps that users now expect. 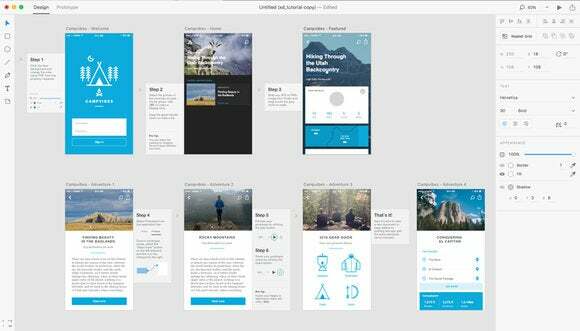 Adobe XD can facilitate better designs by streamlining creation, prototyping, viewing, and sharing into one app. As part of the initial launch, Adobe is hosting host a three-day Experience Design Online Conference on Twitch. More information and tutorials are available from Adobe’s website.